Luz del Alba Rubio is a multifaceted artist equally at home in opera, tango, and romantic song. For six years she has founded, produced, and performed at the international festival PuntaClassic in her hometown of Punta del Este, in which she presents the best of opera, Broadway musicals, original Latin musicals such as Garibaldi, and native styles such as tango and CandOpera (opera mixed with afro-Uruguayan candombe). She works with a cast of over one hundred people ranging in age from 11 to their 50s and garners crowds of over 8,000 each performance. She made her European debut in 1998 at the Summer festival in Frankfurt and Mainz, as Queen of the Night in The Magic Flute. She debuted in Italy as Musetta in La bohéme at the Teatro Regio di Parma and stared in many subsequent productions as Gilda in Rigoletto, Adina in L’elisir d’amore and in the title roles in Lucia di Lammermoor and La traviata all over Europe and the US including at Vienna Staatsoper; Deutsche Oper Berlin; the National Theater in Warsaw; La Fenice, Venice; and the Beijing Music Festival for the celebration of Italy in China. At the invitation of Plácido Domingo she made her American debut performing with Washington National Opera and Los Angeles Opera in Parsifal, as Antonia and Giulietta in Tales of Hoffman, Carmen, and La traviata. Since then, she has performed all the leading soprano roles in Tales of Hoffman, Lakme, Marriage of Figaro, Barber of Seville, Don Giovanni in Trapani, Jesi, Lecce, Firenze, Parma, Padova, Como, Palermo, Napoli, Pavia, Roma, Venezia, and at the Teatro Colon in Buenos Aires. She represented France at the French Month in Hong Kong with a performance of Juliet in Gounod’s Romeo and Juliet conducted by Paolo Olmi. She made her Canadian debut in Ottowa as the Queen of the Night in The Magic Flute with maestro Pinchas Zukermann. She has worked with conductors such as Plácido Domingo, Victor Pablo Perez, Francisco Bonin, Julius Rudel, Marco Armiliato, Giancarlo Seppe, Fabio Luisi, Paolo Olmi, Renato Palumbo, Oliver Von Donhanyi, Patrick Fournillier, Emannuel Villaume, Tiziano Severini, Heinz Fricke and directors Joan Font, Francesca Zambello, Vincenzo Crisostomi, Pier Luigi Pizzi, Roberto Lagana, Marta Domingo, Robert Carsen, and Tom Diamond. She has appeared on many European and global broadcasts such as “Verdi, une passion, un destin” from Alain Dualt, and on FRANCE 3, MEZZO, BBC, Canal ARTE, China’s CCTV, Telemundo, USA, and RAI. She is the cultural Ambassador of Punta del Este, Uruguay, the Worldwide Representative of the city of Mompeo (Rieti-Italy) and the Environmental Ambassador of ACEF (All China Environmental Federation). She is the creator of 3 World Sopranos and Pasión Latina which had great acclaim in China in 2011 and 2015 and is President of Foundation of Friends of PuntaClassic in Uruguay. Plácido Domingo Jr. was born in Mexico City, the son of tenor and philanthropist Plácido Domingo. From an early age, he was exposed to the operatic world and developed a passion for music. 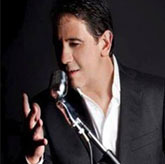 He has written songs for artists including Michael Bolton, Riccardo Cocciante, Vanessa Williams, Sarah Brightman, José Carreras, Luciano Pavarotti, Leona Mitchel, Diana Ross, Alejandro Fernández, Tony Bennett and Plácido Domingo. 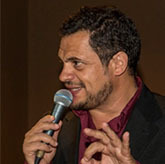 He participated in the album Amore Infinito (released 2009) as executive producer, composer and singer. The album included verses by Pope John Paul II, performed by Plácido Domingo, which reached the top chart on Billboard Magazine’s Top Classical Crossover Albums. In 2010, together with SonicProjects Records, Plácido made his international debut as a performer, collaborating with Grammy Award-winning producer/engineer Juan Cristóbal Losada, with whom he created a Christmas EP called ##Songs for Christmas/Canciones de Navidad##. The EP was released on November 9, 2010, one day before his worldwide debut at the "Person of the Year" ceremony at the Latin Grammy Awards of 2010. It includes a never before released Spanish adaptation by Plácido and Juan Cristóbal Losada of "My Grown-Up Christmas List" by David Foster and Linda Thompson, and a new version of the Puerto Rican Christmas classic "Villancico Yaucano." Frank Valiente, was born in Buenos Aires, Argentina. He studied piano with professor Adolfo Fasoli, harmony and orchestration with Marcolli, violin with Humberto Carfi and Aida Marani, and conducting with Teodoro Fuchs. He subsequently became a member of the orchestra conducted by the aforementioned professor. He organized and conducted his own orchestra-Los Juveniles del Tango. He was named Best New Artist at Buenos Aires’s Luna Park. He moved to New York in 1971, where he recorded as arranger and musical director with several records companies. He conducted at the local, national, and international OTI Festival on several occasions. In 1974 he was awarded first place as orchestrator at El Festival de la Canción in New York. For 8 years he served as musical director for Festival de Radio Mil in New Orleans and for 9 years served as musical director for Festival de Voz y Canción Dominicana of New York. His accomplishments as director, arranger and pianist have significantly contributed to the growth of Latin music in New York City. He is the composer of the ##Argentinian Tango Mass## the music of which follows the official liturgy of the Catholic Mass. The premiere took place May 24, 1998 at St. Patrick’s Cathedral. He has worked as pianist and musical director with famous tango singers including: Roberto Goyeneche, Alberto Podestá, Alberto Echague, Agustín Irusta, Alberto Castillo, Rubén Juarez, Argentino Ledesma, Raúl Lavié, Horacio Deval, Roberto Florio, Juan C, Godoy, Guillermo Fernandez, Angel Cardenas, Edagardo Rusca, and Daniel Holodek.